Black Friday is almost upon us, and as we turn our attention to the gift giving season, now is the perfect time to buy tickets for Walker Stalker Con. What's that you say? Only the best horror con with Walking Dead fans in mind. But it isn't just about The Walking Dead, they also have Robert Englund, Freddy Krueger himself, coming as a special guest. They're getting ready to take over San Francisco in early 2015, and there are already a ton of guests announced with more still to be announced. 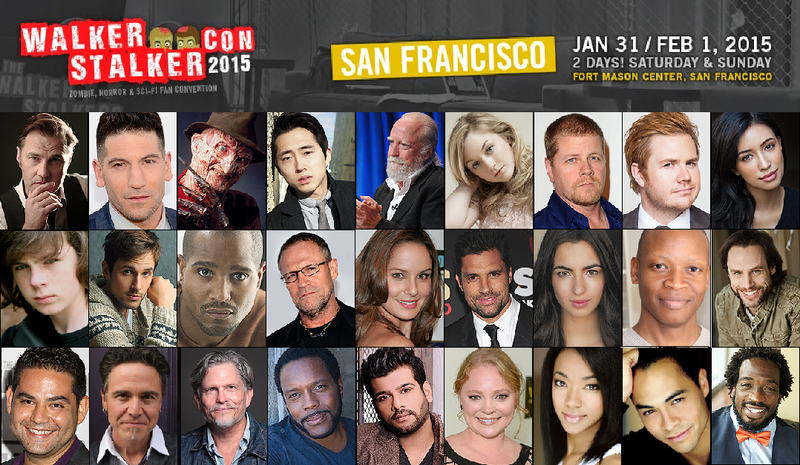 San Francisco, CA – Walker Stalker Con, a zombie and horror themed fan-centric convention, will be held at the Fort Mason Center in San Francisco, CA on January 31st & February 1st, 2015. Walker Stalker Con will bring attendees to a state of the art facility with world class amenities and will provide fan access to celebrity guests. 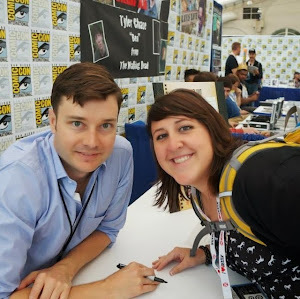 Walker Stalker Con returned to it’s inaugural city of Atlanta in October of 2014 where it’s count reached nearly 35,000 attendees across it’s three day span. It also assembled more cast members of The Walking Dead than any other convention has as well as other horror genre actors. With cast members from “The Walking Dead” returning to the upcoming San Francisco convention, along with stars from other zombie and horror films, Walker Stalker Con continues to position itself to be a particularly unique event. 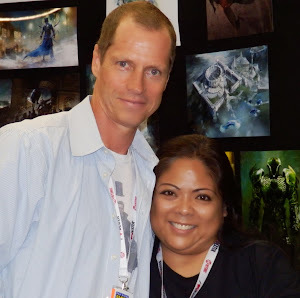 Walker Stalker Con is not just a convention. It is a fan meet-up and an opportunity for each guest to come away feeling like they’ve had an amazing experience and became part of a greater community of zombie lovers! Walker Stalker Con is two days of events, panels, and experiences that zombie fans won’t find anywhere else!